Preheat oven to 180°C (350°F). Place the garlic, chilli, lemon and half the oil on a large baking tray. Cook for 10 minutes or until the garlic has slightly softened. Add the tomatoes, salt, pepper and remaining oil to the tray and cook for a further 15–20 minutes or until the tomatoes are blistered and soft. Squeeze the garlic from the skins and mash with a fork, discarding the skins. 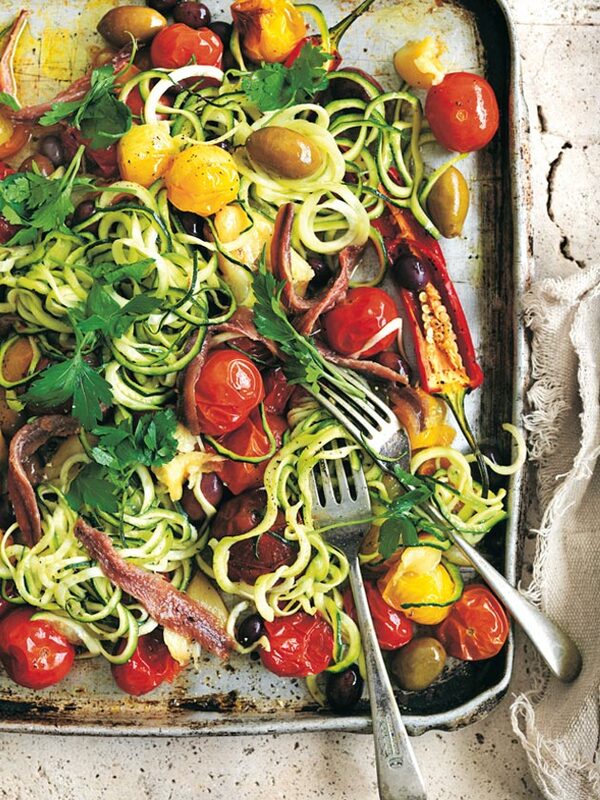 Add the zucchini and olives to the tray, toss to combine and return to the oven for 3 minutes to warm through. Add the anchovies and parsley and toss to combine. Serve. Serves 4.